Creative writing and African literature workshops for refugees and asylum-seekers living in London. What is ‘Stories of Home’? ‘Stories of Home’ is a literary programme offered to displaced people living in London with an opportunity to workshop African literature and write their own creative pieces in response to the literature as well as to their own experiences. After the half-day workshop participants will have the opportunity to work with an editor over the course of a few months to edit their creative pieces which would then be published in the ‘Stories of Home’ digital anthology. The anthology will be launched at an exclusive Afrikult. event, and the participants will be invited to attend and read their published piece (in its original language and translated). The programme is free for participants including a stipend offered for public transportation, lunch provided and an Afrikult. take-away bag gifted on the workshop days. 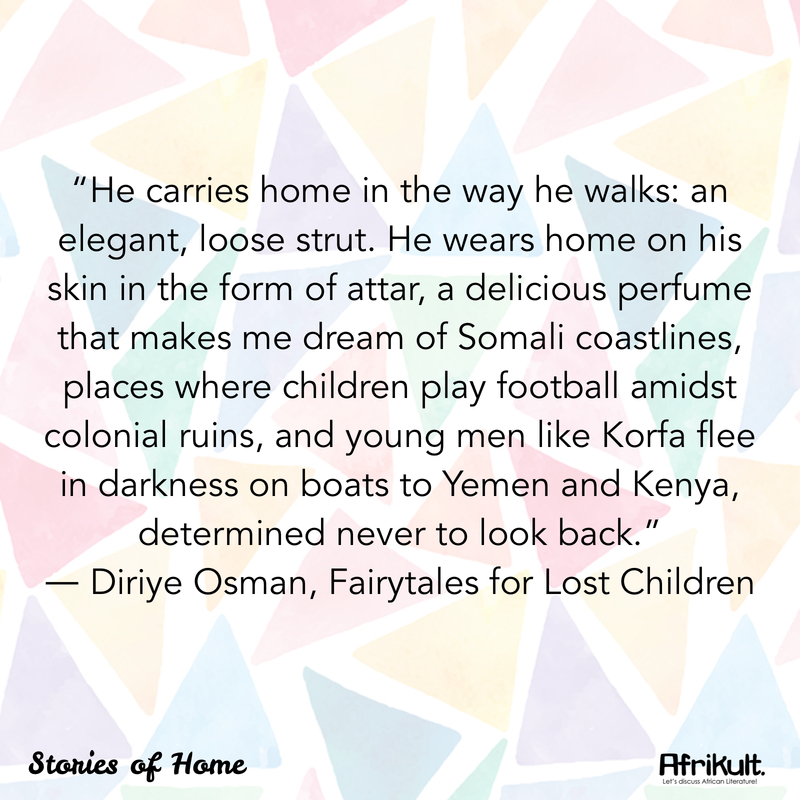 Our main focus with ‘Stories of Home’ is to capture why and how literature matters within hard-to-reach communities. From our work with schools and the general public, we recognise workshops are instrumental in encouraging a wider discussion of literature and how it impacts each and every one of us. Specifically, in targeting communities and groups of people who are largely marginalised, we aim to showcase work where our participants will be able to freely engage and identify with some of the issues explored; thereby building a bridge for dialogue and expression and perhaps most significantly with this audience, the sharing of interpretations. Also through the digital anthology we aim to continue the discussion around literature, migration and immigration online with a #StoriesofHome campaign. We're not the only ones who see the value of 'Stories of Home', we've received a generous offer of support from our following partners and organisations who want to be involved. We felt it was important to launch the programme during National Refugee Week and add to the diverse range of social activities offered in that time. After not receiving initial funding to lift this off the ground, we decided to go ahead in delivering the workshops , while also taking the plunge in launching this crowdfunder because we strongly believe in the value of this programme. This crowdfunder will cover the costs of translators and interpreters, contents for the take-away bags, anthology editor and designer fee, transport stipend for the participants, refreshments and seed money for the 2019 programme, all amounting to £2,050. When will this take place? Both half-day workshops are scheduled for Monday 18 June and Friday 22 June. From the months of July - October, the editor will work with the participants on crafting their pieces for the digital anthology. The funding received from the crowdfunding will be used to cover costs for the workshop dates, subsequent programme meetings between the writers and editor, the production of the digital anthology and seed money for next year’s programme. Afrikult. is a literary organisation that has been running for nearly four years and works to promote, discuss and celebrate African literatures while widening its access to public audiences. You can read more of our story here and follow us on Twitter , Instagram and Facebook as @afrikult. Make Stories of Home a reality! If you are in a position where you can donate to the programme, it would go a tremendous way in supporting the community work we do. Please help us promote the programme as widely as possible and if you are interested in being involved in the programme itself, drop us a line on engage@afrikult.com. Thank you! Shout out on Twitter for being so awesome! Colourful SoH Social Media Badge for supporting Stories of Home and shout out on Twitter! In addition to the colourful SoH social media badge and Twitter shout out, we will also include your name in the digital anthology acknowledgements AND send you a tote bag and bookmark! In addition to the colourful SoH social media badge and Twitter shout out, and including your name in the digital anthology acknowledgements and send you a tote bag and bookmark, we will ALSO send you an Afrikult. t-shirt!